Learn how to tell if your Rolex is the real deal! The Rolex is the Rolls Royce of watches. It is the watch that presidents wear. It is the watch that celebrities and sports stars wear, that CEOs and billionaires wear. If you are lucky enough to own a Rolex, you have an extremely valuable piece of property. 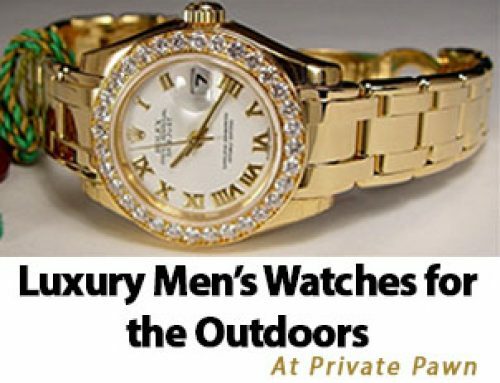 In tight times, you can pawn your Scottsdale luxury watches to get the money you need without actually forfeiting your property. After you pay off the loan to the pawn shop, you can get your Rolex back, and it can remain part of your net worth. Real Rolex watches are water tight. In fact, Rolex was the first company to create a water-tight watch. 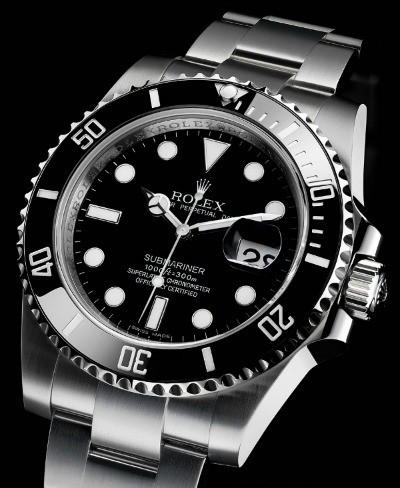 You can take your Rolex 330 feet below the water, and not a drop will leak inside the case to the fine-tune mechanics. You don’t even need a special diver’s watch. Every standard Rolex is designed to resist water up to those depths. Some specialty watches can be taken down much, much further. The faint “tick tick tick” of the second hand is a common noise associated with wrist watches — but not for the Rolex. Real Rolex watches never tick. A Rolex is a finely tuned piece of machinery. The gears are synced to perfection, and the second hand moves smoothly around the dial. You won’t hear a ticking sound from your Rolex unless you hold it right to your ear and strain to hear it. If you hear a typical ticking sound coming from the watch, it’s not a Rolex. Rolex watches are made from high-quality metals such as gold and platinum. Therefore, they have quite a bit of weight. A Rolex should feel solid in your hand. If the watch you’re holding has a hollow clanking noise or feels lightweight, it is not a real Rolex. You’ll know a real Rolex just by the way it feels. Also contributing to the weight of a real Rolex is the sapphire crystal used for the watch face. Early in its history, Rolex made watches with acrylic faces. However, it switched over to sapphire crystal because it was more durable and provided more protection for the watch. If you drop water on the surface of a real Rolex watch, it will bead on the surface of the sapphire crystal. That’s how you know you’re looking at the real deal. Don’t get taken by scam artists because you are trying to save some money on your next Rolex. Always buy from a reputable dealer, and always check for these signs that you are dealing with a real Rolex. If you have your own Rolex collection, Private Pawn in Scottsdale can help you pawn your watches to get top dollar in your times of need. We work with pawn shops all over the state to help you get the best terms for your pawn loan. We also do the leg work to make sure that you are working with a reputable pawn shop so you don’t feel nervous about turning over your exceptional valuables. We arrange for a secure pickup of your Rolex watches, and we’ll see to it that they are kept in a secure facility for the duration of your pawn loan. Call ustoday for more information and to get the pawn process started.